We are in the midst of a generational ideological struggle to distinguish Islam as a faith from the political ideology of Islamism. We are in the midst of a Muslim Reform – do not miss the wood for the trees. The tragic attacks in Brussels this week mark the arrival of the global jihadist insurgency to Europe. The deaths of over 34 people in coordinated attacks in the heart of Europe’s capital had me pondering how we got here, and how far we have yet to go. This month of March marks ten years since my release as an Islamist political prisoner from Egypt’s Mazra Tora prison. To stave off madness in solitary confinement, I used to organize races between pebbles that I flicked across the floor of my cell, naming them Freddy-Fred and Johnny-John. My cell had no lights, no toilet and no sheets for the first four months. In those early days, among the concrete and cockroaches, I found solace in the one item I was allowed to keep with me, a pocket-sized version of the Qur’an. I eventually memorized half of it under the light of the moon as it shone through the bars of the skylight and into my cell. The echo of my voice in that cell as I chanted the passages remains with me till this day. As does the same pocket-sized Qur’an, which I preserve with mixed feelings as a keepsake. It is surreal to think back now and consider how dogmatic and intellectually inflexible I had become by the age of my arrest as an Islamist at 24. My rage stares out, piercing the lens of the prison guard who snapped this mugshot that I eventually smuggled out of prison with me. Our defiance of the World Order was on display for all to see as we marched in and out of that Cairo court raising slogans against our torturers as loudly as we could muster. There we were, a vanguard, calling for the return of a “Caliphate” that we would eventually denounce when ISIS declared one 12 years later. Over those next five years in jail my hardened immaturity softened, as I experienced the contradictions of life in a setting akin to Orwell’s Animal Farm, but for jihadists. There, as far back as 2002 I witnessed conversations among cellmates about how slavery would be reinstituted under our caliphate, and how the world would come to be conquered through jihad. I eventually became convinced that if we Islamists achieved what we had been romanticizing, we would come to destroy everything beautiful around us. But this process was slow and, well, a process. Even as news broke of our release in March 2006 and I began conducting interviews, I still had a great deal of that residual anger and ideological dogma stuck inside me. A BBC HardTalk interview from that year is perhaps one of the best examples of my former Islamist double-speak. And my fiery speech at an anti-Israel rally outside the US embassy in London organized on ‘al-Quds day’ – serving as the death throes of my waning Islamism – remains a lingering reminder of just how far I have allowed my mind to wonder from those heady days when I was ever so certain of the good and the bad. Since then I have travelled twice to Israel as part of a British Parliamentary delegation, and have pulled back from much of my previous rhetoric, carefully crafting a more balanced perspective on the Israel-Palestine conflict, and much else. Eventually, my dogma gave way to my humanity. I could no longer maintain the facade of looking down on people like Amnesty activist John Cornwall who had become my pen pal while I was in prison, writing to me of life’s everyday wonders, while my fellow inmates dreamed of nothing but caliphal conquest. I have deemed it necessary to announce that, after serving in Hizb-ut-Tahrir for 12 years and since I was 17 years old, I have decided to leave the party and resign my membership effective immediately. I humbly request that I do not discuss the reasons for my decision at this moment in time, and ask that I be left to complete my much delayed final examinations. Forgive me for any offence caused. But I didn’t stop there. Needing to take responsibility for my role in creating division among our communities, I announced on the national flagship BBC Newsnight that I would now dedicate myself to challenging the divisive Islamist rhetoric that I had previously been prepared to die for. My first public talk to Muslims was met with incredulity. You’re calling for secularism? Many in the packed hall asked me aghast, after I had summarized my position. How long ago it now seems that in 2007 the British Muslim activist scene found it controversial to speak of secularism so openly. My first attempt at engaging Muslims in writing on these themes came in the form of a blog in which the comments section has faithfully captured the general mind set of British Muslim activism in 2007. 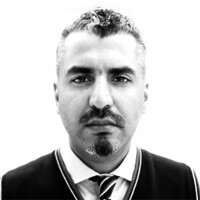 My first national column for London’s Sunday Times, and my first New York Times profile came later, and by January 2008 we had announced the founding of Quilliam as the world’s first counter-extremism organisation, a course that would set me firmly upon the path of challenging Islamism while promoting a liberal, democratic and pluralistic reform of Islam today. As I reflect in the ashes of this horrific attack in Brussels, I see that over the course of these last ten years much has changed among Muslims in the West. But so has the Western Muslim scene. People often ask me whether this has been a change for better or worse. My answer is, rather confusingly: both. Consider what has happened to the debate within Western Muslim communities. Openly liberal, reforming Muslims have become far less defensive, and much more vocal and visible, since those earlier, darker years during the heyday of Bush’s War on Terror decade. Reform theologians such as Quilliam’s Dr Usama Hasan have been at the forefront, convening global initiatives to reconcile Islam and science, culminating this week in the Istanbul Declaration on reconciling Muslims with the scientific method. Across the world, Ex-Muslims and liberal, reforming Muslims are more openly claiming their right to challenge taboos within our own communities, and public discourse is ever so slowly catching up with the fact that being a conservative Muslim is not the only way to be a Muslim. Media are realizing that just because Islamist sympathizers shout the loudest, this doesn’t mean they should be heeded any more than anyone else, if at all. But here’s the bad news. Arab democrats and reformers’ biggest success to date, has also been their biggest failure. The Arab Uprisings were not sparked by Islamists – they initially caught them and everyone else totally off guard – but by democrats. For a brief period, for just a few months, it was suddenly chic to be an Arab democrat in a Kufiyyeh scarf calling for change. And then the despots took their revenge. Human Rights fare worse now under Egypt’s military ruler Sisi, than when Mubarak imprisoned us. Syria speaks for itself. Those positive shifts in the community have also not gone unnoticed among Islamists, and conservative Muslims. Each grouping is feeling the heat of reasserted enlightenment values by Reform Muslims, and has doubled-down, retreating further into their entrenched positions while targeting nascent liberal Muslim activists as a way to further establish their legitimacy. Islamists were always going to be the enemy of reforming Muslims, and the eventual rise of ISIS was an inevitable consequence of decades of our Islamist priming. But in an increasingly identity-driven atmosphere fuelled by Regressive Left apologists for Muslim extremism, and by Populist demagogues too, conservative Muslims – who used to hate Islamists above and beyond all else – have been aligning with them on issues such as blasphemy, as a way to compete for the heart of Muslim identity. As the aftermath of these devastating attacks in Belgium unfold, and we witness something akin to a jihadist guerrilla war on European soil, we must recognize that this is an ideological struggle before it is a military one. Ten years ago, many on the liberal left used to deny any such thing as Islamist extremism existed. For them, this was nothing but a “neo-con” line taken from the worst excesses of the Bush years. But as jihadist attack after jihadist attack came, those same liberals slowly, reluctantly, took to limiting the problem to ‘violent extremism’, using phrases such as ‘al-Qaeda Inspired Extremism’, without realizing that it was not al-Qaeda that inspired extremism, but it was extremism that inspired al-Qaeda. We must finally come to terms with the fact that we are in the midst of a generational ideological struggle to distinguish Islam as a faith from the political ideology of Islamism and its violent manifestation, jihadism. Islamism has taken hold in our communities. As with fascism before it, this struggle will involve all of society, not just its Muslims or non-Muslims. Everyone must stand together to discredit the ideology of Islamism, and to reform Islamic discourse today. We require a whole-of-society approach. Our aim must be to render the Islamist ideology as unattractive as fascism has now become. And to the insurgent anti-Muslim Populists currently riding a wave of fear in Europe, while asking in exasperation: where is Islam’s reform? To you I say: if my own change – and those of many others – over this last decade demonstrates anything at all, let it show you that we Muslims are in the thick of this reform, and our very own 30 Years War. Do not miss the wood for the trees. Reforming Muslims need your help, not your hate.